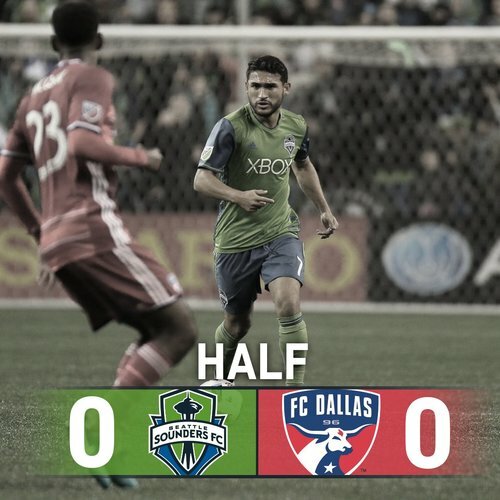 HT - Still searching for the opening goal here at @CenturyLink_Fld ! 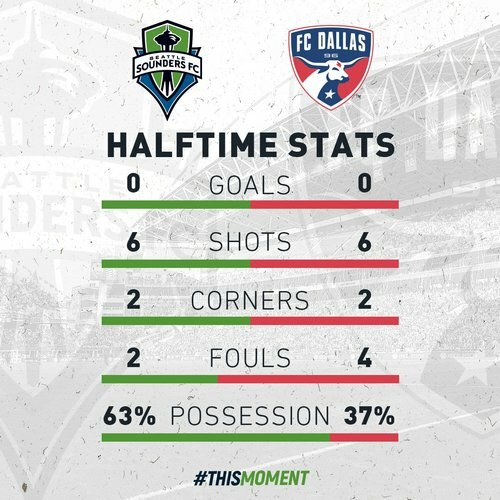 Want halftime stats? You've got it ???? 46' - It's going down in Seattle! #SEAvDAL back LIVE on @FS1 ! 46' - Aaaaaand we're back! 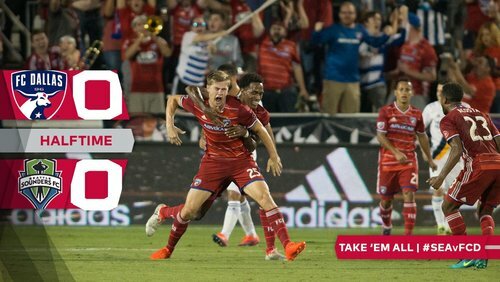 Let's get a goal boys! 50' - GOAL Seattle. The cross flies over Seitz and Valdez finishes it. 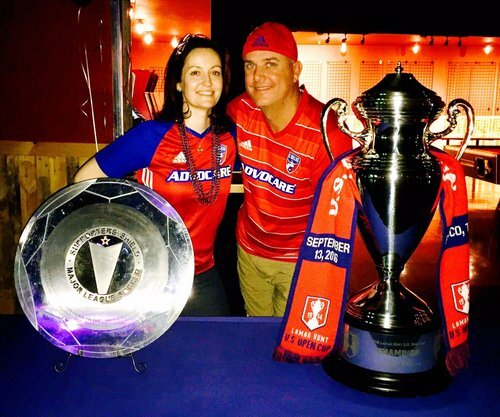 1-0 Seattle. Nelson Valdez: worth every penny. Nelson Valdez has 3 more playoff goals than Obafemi Martins and Fredy Montero combined (0). 53' - Jones gets forward down the left and sends a cross in that Morris heads over. Scoring massive goals in the #MLSCupPlayoffs is kind of @Haedo18Valdez9 's thing! 55' - GOAL Seattle. Morris gets forward down the left and slides it to Lodeiro who taps home. 2-0. 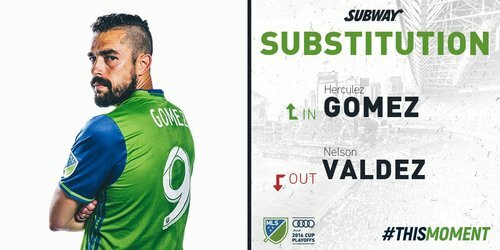 56' - SEATTLE SUB - Herculez Gomez comes into the match for Nelson Valdez. 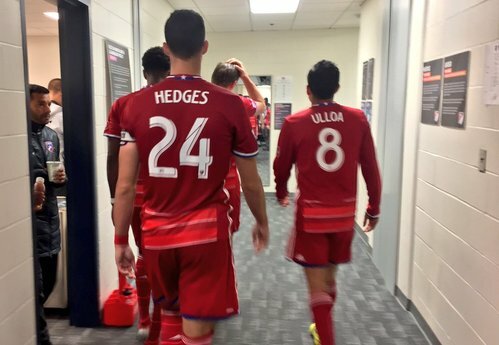 So there goes the plan for FC Dallas with two goals in five minutes. Now how will the team respond?